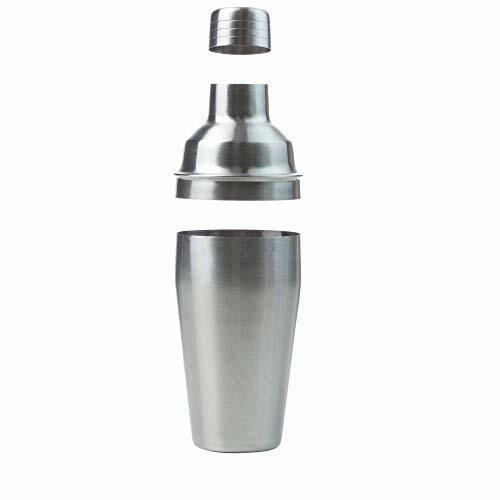 No home bar or drink station is complete without a cocktail shaker and tools to make the perfect martini. Wyndham House presents the perfect 5-piece stainless steel set. 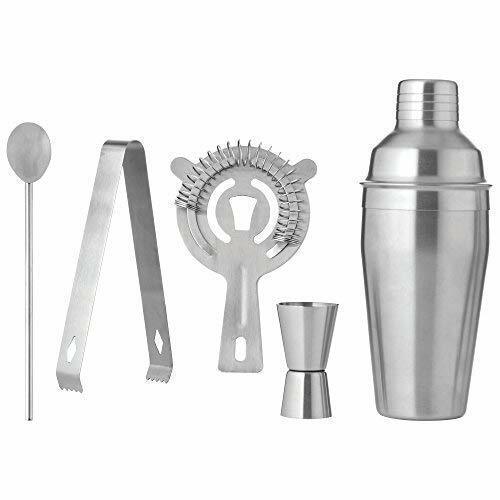 Included is the 18.6 Ounce cocktail shaker, stirrer, strainer, double jigger, and Ice tongs. 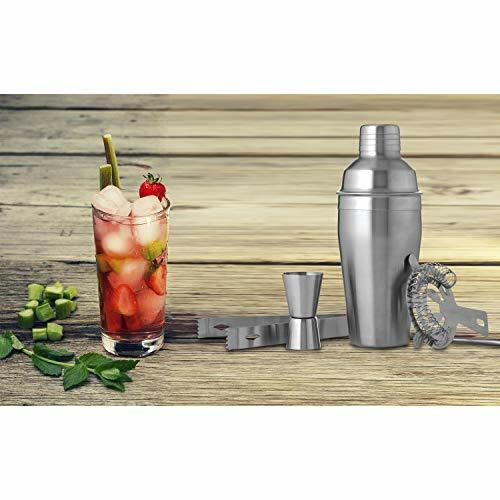 Built from durable food-safe stainless steel, this set can offer a lifetime of delicious drinks. 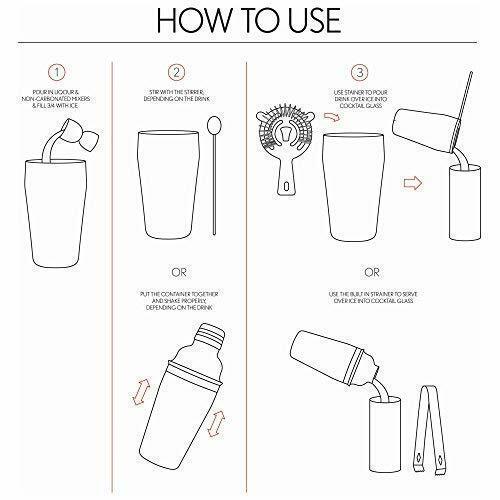 The only thing you need to add are glasses, ice, and your favorite booze. This great set will help you entertain others as well as yourself. 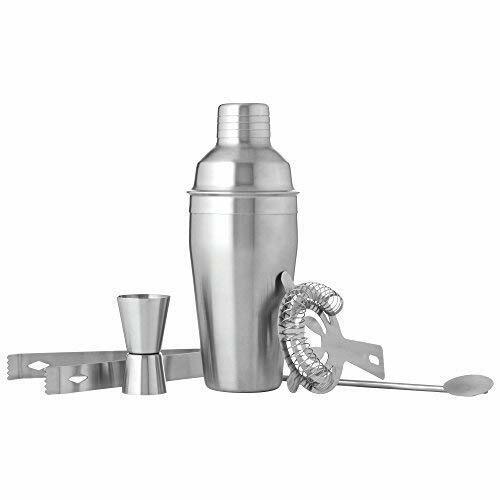 Be the best bartender you can be at home and have fun mixing, stirring and shaking up a great time for friends and family. From a Gimlet to Gin Fizz and Martinis to Margaritas youll be having a great time serving up a great time.